It’s not really supposed to be like this. The Sire of Fort Myers is intended to be all about shining a light on an unheralded player who realistically has no shot at actually cracking the Opening Day roster. Lucky for us, baseball has a knack for somehow circumventing reality. A year after Ryan LaMarre played his way onto the Twins, it appears Ryne Harper may be on the verge of doing the same. UPDATE: The polls are officially open. Last we checked in, Harper and 35-year-old infielder Adam Rosales had established themselves as the favorites. Well, Rosales cooled off and was released Friday evening. Still, his .278/.350/.694 batting line, a 1.044 OPS, makes him a finalist regardless. He was by far the most impressive hitter among those who qualified for the title. Among the other five names listed in the last update, Lucas Duda was let go and has since signed with the Royals, Tim Collins was also just released Friday night and LaMonte Wade was reassigned to minor league camp. A month ago, I didn’t even list Harper among the top 10 candidates for Sire of Fort Myers. Though most of his competition is no longer in big league camp with the Twins, there are still a few other candidates lingering. They’re also right-handed relief pitchers. Mike Morin has also had a strong spring. While Harper’s big, slow curveball has dazzled, Morin has really turned heads with his changeup. He’s given up four runs on nine hits and two walks over 9 ⅔ innings, striking out nine batters in the process. 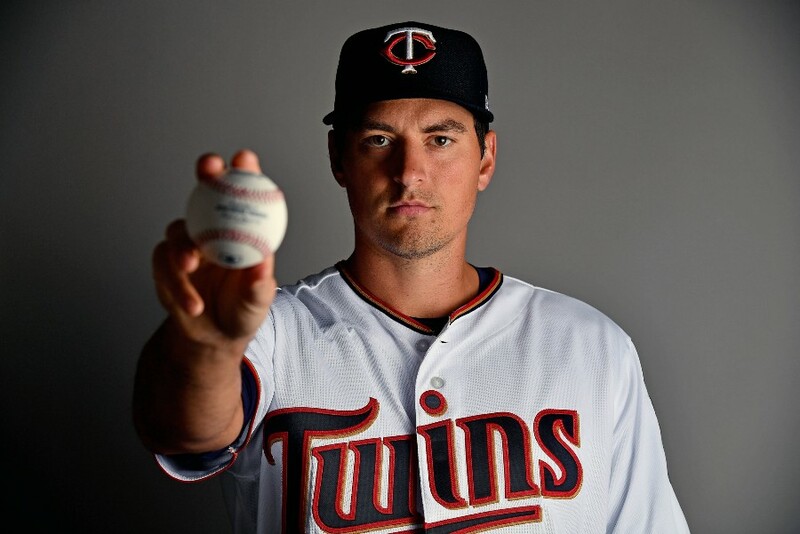 Preston Guilmet is also still in big league camp with the Twins. He’s given up four earned in 8 ⅔ innings but has an eye-popping 14 strikeouts, which leads the team. Prospect Ryan Eades has also shined. He's only yielded one earned run in seven innings while striking out nine batters. But you can’t get lower than a 0.00 ERA. Harper is now the clear favorite for Sire of Fort Myers, but what about those odds of making the Opening Day roster? Well, it would certainly make for an amazing story. Harper has pitched in more than 300 games in his professional career. He was called up to the Mariners for a couple days in 2017 but did not make his major league debut. He turns 30 on Wednesday. Opening Day is Thursday. Can you imagine what it would mean to him to hear his name announced during intros at Target Field? I’m getting chills just thinking about it! Fernando Romero has already been optioned to the minor leagues. Addison Reed and Matt Magill haven’t pitched in well over a week. A path has been cleared. I’m rooting hard for Harper to break camp with the Twins, but it’s undeniable that those 186 career MLB appearances look really good on Morin’s resume. The final vote for Sire of Fort Myers will take place in the forums section here at Twins Daily on starting on Monday. Make sure your voice is heard. Had no idea who Harper was until this spring.I love the movement on his pitches and his K rate is nice as well.He has been good at getting out of jams with guys on base, too.It would be nice if he got the call but I can also understand if the Twins send him down and keep Moran or Guilmet to start the season. Harper hasn't had any MLB success yet and it might be nice to see he keeps throwing this well for another month before adding him to the 40 man and if he doesn't pitch well after being added risk losing him. He has proven he has the stuff to get guys out.Here's hoping this is the year he breaks through. I understand Harper has no MLB time and the others do. (Although not recently). And I understand ST numbers are usually not a basis to make a roster decision. But Harper has been outstanding, steady, and has flat out out-pitched his competition. At some point dont you ride the guy on a hot streak performing the best? Yeah.He has to make the team. But he did not come from nowhere. A relief pitcher that depends on a big, slow curveball to offset his underwhelming 90mph heater? If your goal as manager is to see how much gray hair you can sprout in one season, this is how you do it. Don't get me wrong, I'd be fascinated if Harper makes the team. But after these hitters study film and see him a couple times, will that slow curve still get so many wild flails?I'm afraid the biggest advantage Harper has is that hitters haven't seen his stuff yet. That might provide dividends for the first couple weeks in April. After that...eh. I'm still hoping Eades will get his shot.He's 27, so its not like he need to be in the Minors any longer. No, they would be happy if he was traded for Brian Schales. With the way Romero has pitched this spring I'm ok with Harper making the roster. There's something about the way he throws that looks hard to square up. I can't back this up with anything, but that's the way it looked from that video. His curve looks pretty, I'd give him a shot. Speaking as someone with no practical experience, I'm thinking Harper's release is oddly deceptive and nuanced. He may be able to continue to baffle hitters longer than some expect. Baffling hitters is a highly desirable quality! I sure hope he can continue to do that during this season. So far this Harper story has been remarkable ... and fun. I've loved Harper since his days in the Braves system. He's a guy who doesn't have huge stuff, but he's a great guy, and he simply gets outs. Heck, he has a 2.56 career ERA in just over 450 minor league innings, all tossed in relief.